Can you Imagine your toddler riding a bicycle? All this while Indian parents have been used to buying their 1-year old a tri-cycle. First they (the parent) will push the tricycle and then the toddler will try and start pedalling. The tricycle teaches the baby to learn to pedal and steer, but poses a pretty serious risk of tipping over when the toddler goes too fast, turns or tries to get off. This causes injury, pain and definitely doesn’t prepare the child for the bicycle. 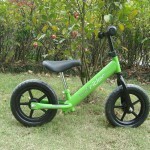 Later, at around four years of age parents buy their child a bicycle with trainer wheels. What do the trainer wheels do? If you actually think of it, they actually impede the process of learning balance. 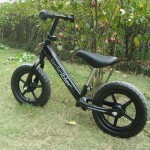 The child becomes used to the fact that he / she has four wheels, and focusses on pedalling and steering. After a while, the parent says, ‘ok, let’s remove one wheel’ and that’s when falls and bruises start! 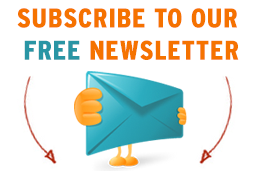 Some children get so scared of falling that they fail to learn an easy and basic gross motor skill of balance. 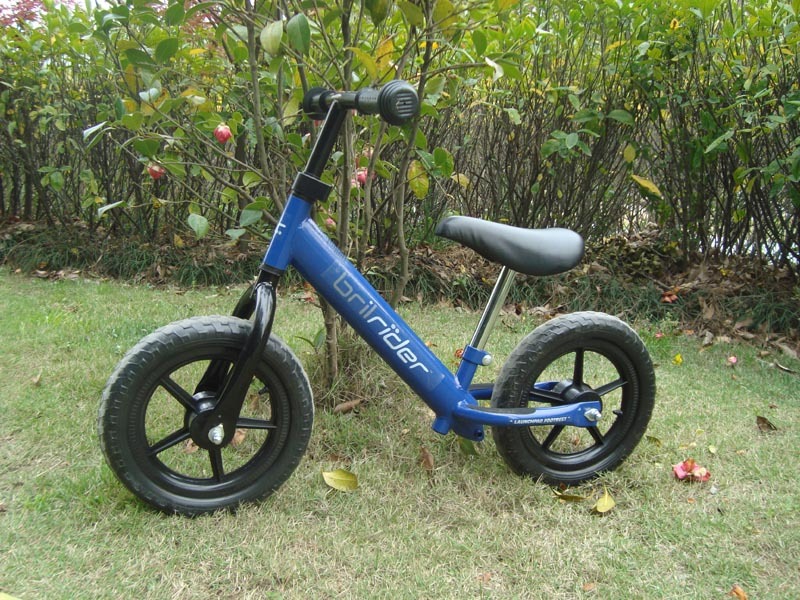 Brilrider, India’s first balance bike has turned this concept of learning balance on its head. 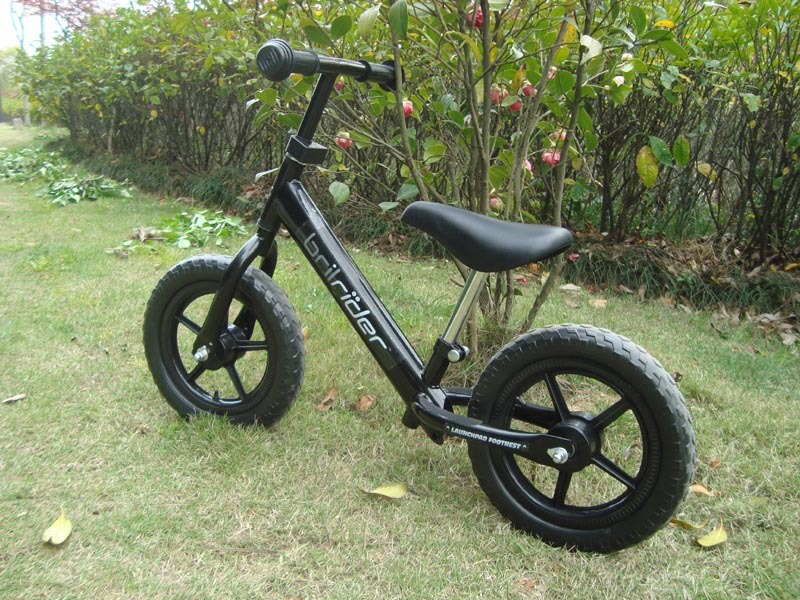 Come Brilrider, the good-old tricycle may be passé, as parents can start their children off on this cool bicycle as soon as their baby can walk stably! Yes, that’s normally as early as 13-18 months or sometimes even earlier. Brilrider’s exceptional design, with low centre of gravity allows the seat to go as low as 11” from the floor and has no pedals. This, minimal and simplistic design helps toddlers place their feet firmly on the ground and start walking with their new balance bike. 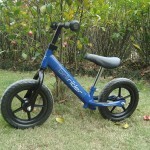 As the child progresses, he becomes more confident and starts walking faster with the Brilrider. 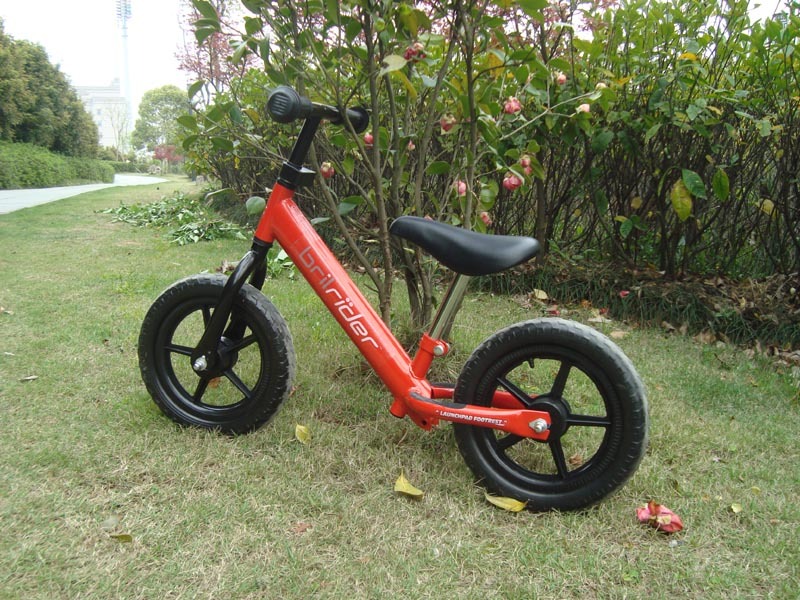 Children love the Brilrider as it is extremely light (Much lighter than tricycles and 48% lighter than other bicycles in the category) and easy to handle. Since there is no handle-bar limiter, the probability of injury due to the handle bar getting wedged against the chest or stomach is virtually zero. As the toddler gets more and more confident, they start running and then slowly lifting their feet off the ground and balancing. 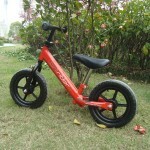 This means children as young as 3 years can actually start balancing without the need for tricycles or trainer wheels. The best part about Brilrider is that falls are greatly minimized as children can put their feet firmly on the ground at the slightest feeling of doubt or lack of confidence. If you start an older kid (probably 3-4 years of age) on Brilrider, you will see that some of them may start balancing in a matter of weeks or even days. The Brilrider also has moulded footrests as part of the body so children can rest their feet up and zip away once they get confident! 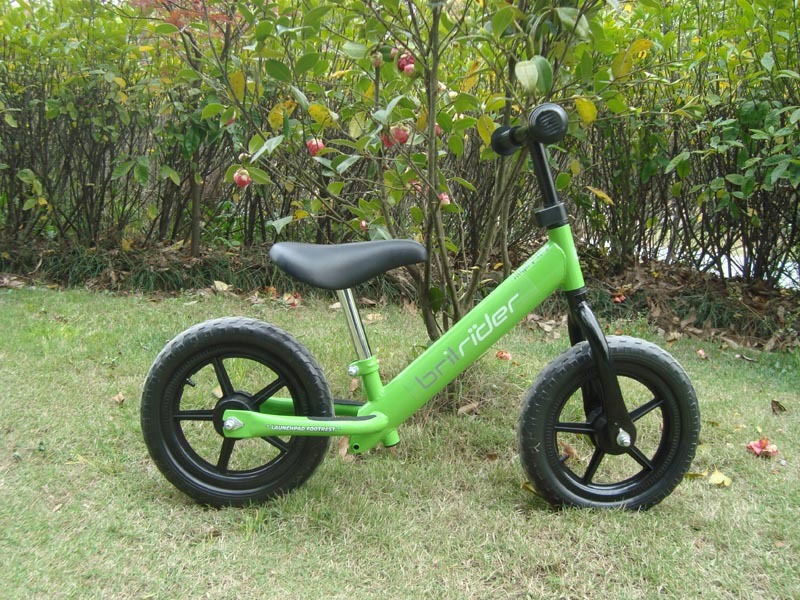 Learning to ride a bicycle will never be the same again thanks to the Brilrider, and it’s great for kids from 1-5 years of age. The following is our first video sent by happy parents of Rohan- a 4.5 year-old child. Rohan had never balanced a 2-wheeler before, but learnt to balance in just over 3 days with his new Brilrider. Watch him having a blast with his Brilrider in this video.